Okay! Bunkai (分解), literally meaning “analysis” or “disassembly,” is a term used in Japanese martial arts referring to process of analyzing kata and extracting fighting techniques from the movements of a “form” (kata). The extracted fighting techniques are called Oyo. No form is complete without an understanding of the movements, and no form is necessary without meaning. There are many who practice kata, some for the competition benefits and some for the training benefits. Kata for competition usually has a different focus than kata for technical perfection. 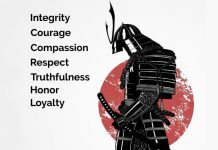 Have you ever wondered how to tell, as an observer, what the kata performer is actually seeing in his or her mind’s eye? Experienced teachers of any given martial art understand the process of development. 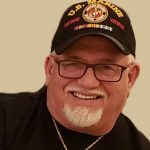 In the beginning, it’s simply memory to be able to put together various techniques that were specifically designed to give the practitioner defensive and offensive tools. Like any other tool, when first exposed to it, you have no idea how to use it. As progress continues, the movements become more cohesive and seem to flow better, and still you don’t know why you are doing these new combinations of movements that your teacher is exposing you to. Kata and bunkai are the ultimate developer of patience because you hunger for more, but are held back by the traditional teacher of the ancient ways. One day, the instructor shows you a technique and uses a uke in the process. At this point, a light goes on in your mind, and you start to think you’ve done this technique before. Of course, you have, it’s a small piece of the kata that has been fragmented into a single technique. Now comes the awakening to this thing called kata and the reasons for it to exist. Each and every kata that is learned, gives the practitioner new rules and new ways to react, respond, and deal with the martial art that you are learning. A kata that we practice known as seisan, gives us the permission to move forward into the attack rather than away, as we have always done since we were toddlers. Our natural reaction to something may not be the best resolve; the good teacher needs to slowly retrain your mind and body to the point that the more effective ways take the place of the natural ways. When those movements become natural, they define you as a martial artist. Everyone does kata, everyone! This includes boxers, kickboxers, MMA fighters, and the like. A boxer does shadow boxing and combinations and so does a kickboxer. MMA fighters do the same, plus work on their form with and without a partner. This practice is kata and bunkai, regardless of what they call it. Actors use something called rehearsal to better understand the character that they need to become for the role that they are playing. 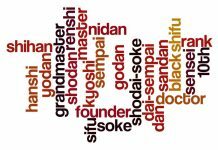 All of these examples are kata and ultimately bunkai. If we don’t have a useful meaning in a movement, it is simply an exercise, and maybe an exercise in futility. If we really become one with the combination of movements, and we start to see the attacker as we move through the sequences; we have gained an advantage over this situation. The bunkai is starting to make sense and the kata becomes the teacher. Bunkai is, and should be, an evolving living thing. There are some styles that say the movement of the kata has only one meaning and bunkai application. Although I am not going to discredit their ways of thinking, this is precisely why great and renowned teachers such as Bruce Lee, moved away from the traditional kata. Although, all the repetitious movements were indeed kata that allowed the practitioner to envision their own bunkai as they worked on their movements. Of course, the student had to think about it and got a tap on the head, with Bruce telling him, “Don’t concentrate on the finger or you will miss all the heavenly glory.” This example was only a movie scene, but it does teach a lesson about the power of the mind and body connection that allows us to experience bunkai. The beauty of this is Bruce Lee did not tell him what he saw; he asked him what he saw. Bunkai is the purpose of kata. If a kata is performed without bunkai, it is a waste of time. It becomes nothing more than an exercise at best. Some choose to create forms and kata that have only one purpose, and that purpose is entertainment. Flashy, gymnastic-like movements do thrill the audience and the inexperienced judge, but provide little or no practical application that should come with the combination of movements. If the goal of your practice is to win trophies and be recognized for being a constant winner at a tournament, then you can and will be successful in your endeavors. There is no shame in having a goal of fame. The shame comes when those who emulate you, believe that you are the best at martial (fighting) arts. There are many who practice in this way that are not able to defend themselves, and this leads to a false sense of security. Bunkai helps to develop the fighting skills of the individual. 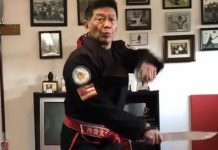 Along with kumite and other strengthening drill sets, as well as exercises, the martial artist becomes proficient at all that is the chosen style. 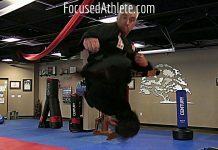 As the individual strengthens the connection to the bunkai, and the mind and body become one, they increase in proficiency and effectiveness as an accomplished martial artist. Remember, when you can see the attacker in your movements, you are considered a good martial artist. When others watching you see the attackers, you have become a master! 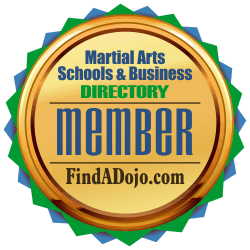 Tosh’s Academy of Shorin-Ryu Karate on the Martial Arts Schools & Businesses Directory or FindADojo.com. To contact Dan Tosh or Tosh’s Academy Of Shorin-Ryu Karate in Brentwood, California, visit their listing on the Martial Arts Schools & Businesses Directory at FindADojo.com by clicking on the image on the left. Dan Tosh has been training in shorin-ryu karate since 1958. In 1970, Dan Tosh persuaded Grandmaster Musashi Miyagi to become his teacher and mentor in Hawaii. In 1976, Dan Tosh was promoted to Godan (5th degree Black Belt). In 1987 he was promoted to 7th degree Black Belt and in 1998 to 9th degree Black Belt by Professor Sig Kufferath, On January 13, 2007 at the WOSKKA annual gathering, Dan Tosh was promoted to 10th degree Black Belt by the Black belt council chaired by Great Grandmaster Al Novak.